As the problem of traffic congestion has grown in the last decades, so has the variety of technologically oriented solutions across the globe. Companies like Uber and Lyft are concentrating their efforts on growing the ride-sharing market, while others are investing in intelligent driving systems, such as automated highways that group and connect cars into electronically timed “platoons,” thereby reducing traffic. Of course, expanding and improving public transportation is also a touchstone of sound urban planning policy, but it’s also one challenge that tech startups are embracing. 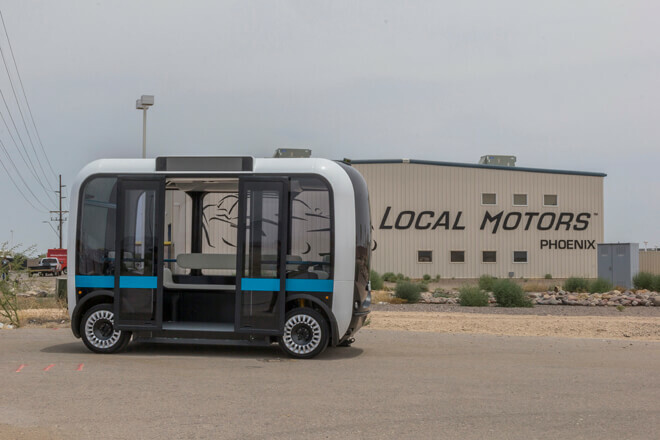 Case in point is Arizona-based Local Motors, an automobile technology company, best known for creating the world’s first 3D printed electric car back in 2014. 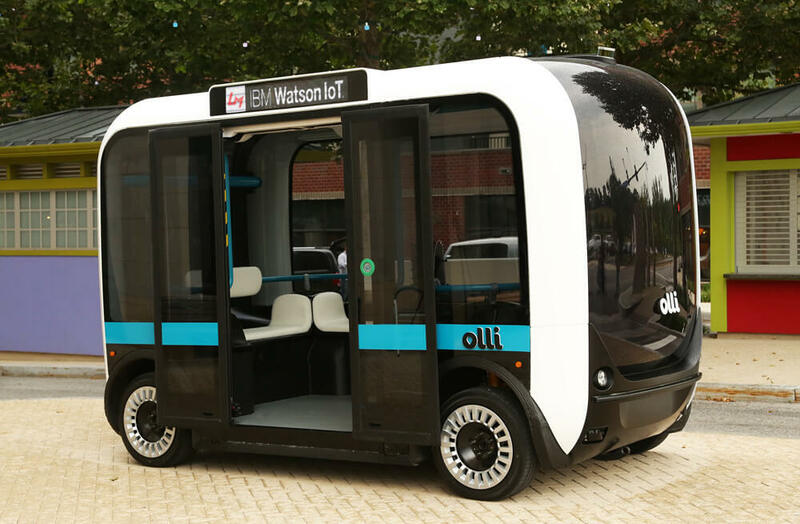 It has now also recently launched a self-driving minibus service in Washington D.C’s National Harbor area, that’s controlled by IBM’s artificial intelligence technology, Watson. Sporting the perky moniker Olli, the electrically powered vehicle is made out of 3D printed parts and is capable of carrying up to 12 people at a time. 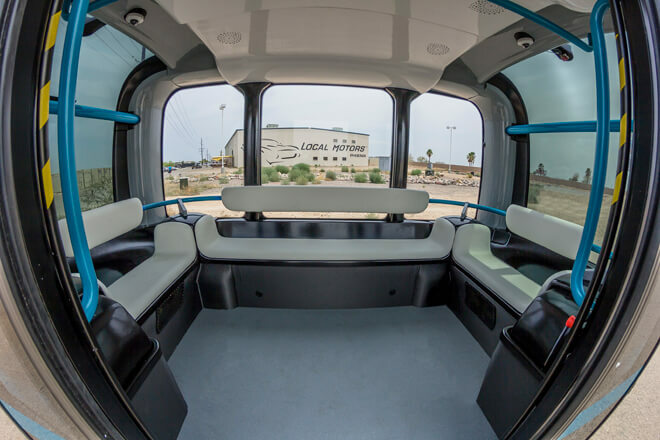 The AI underpinning Olli will allow it to interact with passengers, such as answering questions about the time remaining to a destination, planning routes, and even recommending landmarks or restaurants to visit. 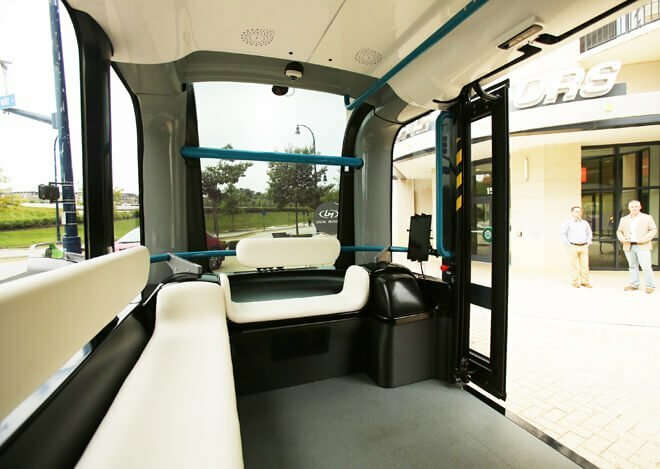 For the near future, the autonomous bus will run only in the National Harbor neighborhood as part of a summer-long pilot program offering free trial rides to visitors, who can install an application to tell the shuttle to come pick them up. But one of the project’s main goals is to test the cloud-based cognitive computing capabilities of IBM Watson’s Internet of Things (IoT) platform to analyze and learn from the large amounts of transportation data that will be collected from more than 30 sensors that are installed on the bus. 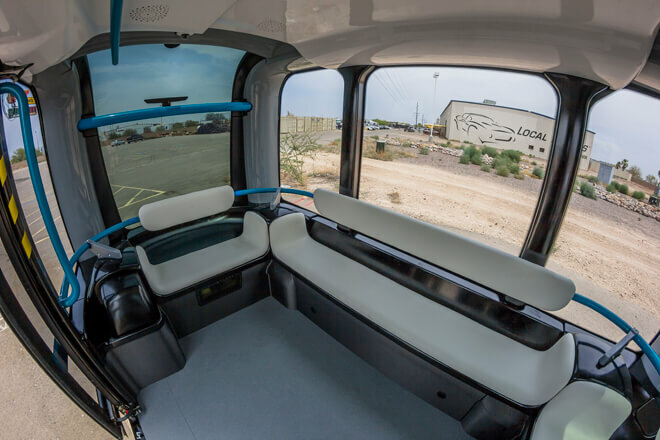 Besides public transportation, the company envisions that Olli can be used as a chartered shuttle, taxi service or operate as an inter-linked network of mobile pods transporting people through the city. According to the company, to ensure a smoother and more individualized interaction experience, the vehicle will utilize four Watson developer APIs, ranging from speech-to-text, text-to-speech, natural language and name-entity recognition technology. “Our microfactory is capable of doing things 5 times faster and with 100 times less capital than everything else in the industry doing these kinds of complex cyber-mechanical devices,” explained Local Motors co-founder and CEO John B. Rogers, Jr. on Singularity Hub. The company can make products on an as-needed basis, without the need to keep an inventory, making small-scale microfactories an essential component in this agile approach to design. 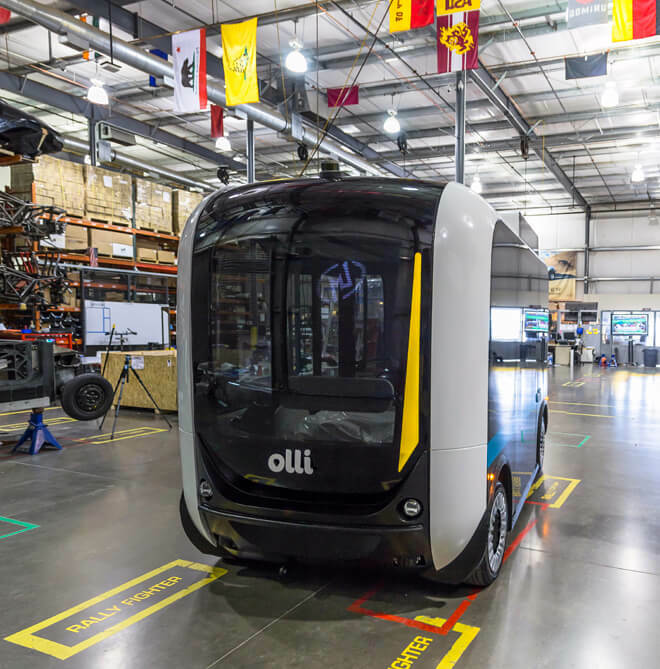 The company is now working with officials to bring Olli to Miami-Dade, Las Vegas and Denmark. No doubt this exciting new possibility for self-driving public transport needs to be fully tested on the road — and fully secured on the growing (but vulnerable) Internet of Things. But we have to admit, the daily commute looks a lot less hellish with a fleet of smart vehicles that can not only chauffeur you around, but that can also come pick you up. Might it portend a shift from today’s traffic-choked urban centers to a car-free future, where people can someday rely on a comprehensive, city-wide and non-polluting smart shuttle service to get them around? Only time will tell.